American Pharoah and reining horses? 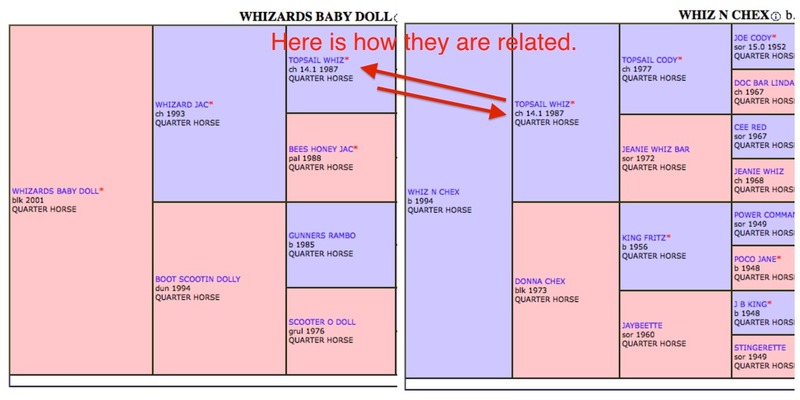 “Stacy, is Smokey (This Whiz Shines), Bob Baffert’s stable pony, any relation to Roxy or your other horses?”-Linda L.
Yes…Roxy, Jac, and Newt would all be related. It gets kinda complicated but, for the most part, it would be a different versions of ‘cousins’. Not sure what we’re talking about? Keep on reading. 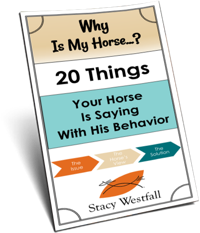 If you have been keeping up with American Pharoah’s races and workouts you may have noticed the buckskin Quarter Horse that is often with him. His name is ‘This Whiz Shines’ aka Smokey…and he was a reining horse before becoming a well known pony horse at the track. 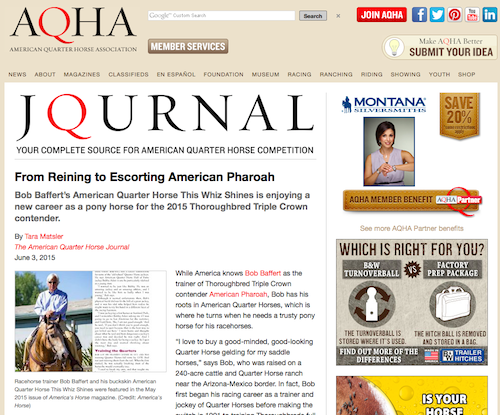 The AQHA did a great article on both Bob Baffert and his Quarter Horses that you can read online. It turns out that This Whiz Shines isn’t the only reining-horse-turned-pony-horse out there. Will you be watching today? Television time: 3:30-6 p.m. on NBC. Will American Pharoah join this elite group? 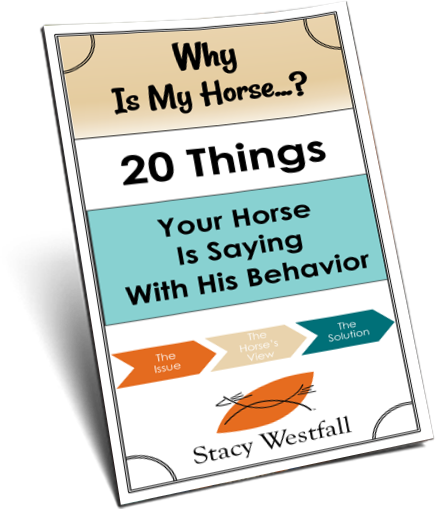 ← Becoming a balanced rider…and training a balanced horse.